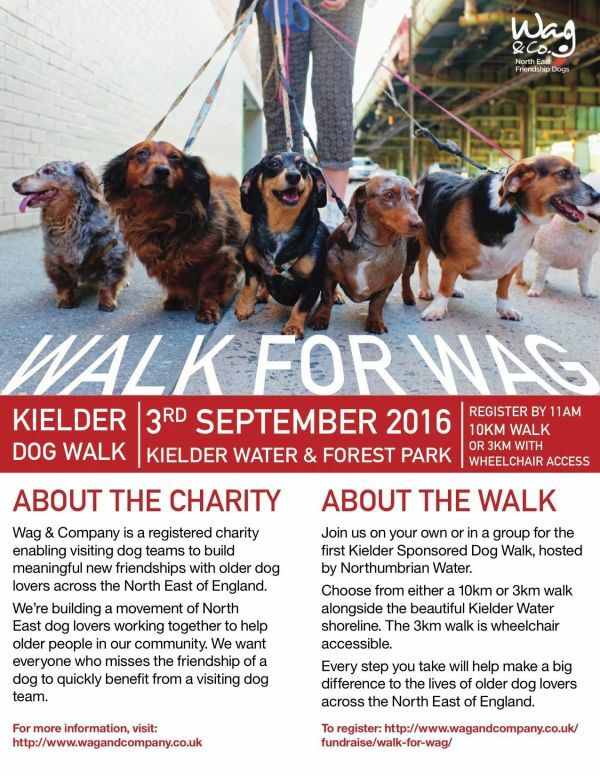 The Kielder Dog Walk, "Walk for Wag"
Wag & Company is a registered charity enabling visiting dog teams to build meaningful relationships with older dog lovers across the North East of England. Join us on your own or in a group and choose from either a 10km or 3 Km walk alongside the beautiful Kielder Water shoreline. You will be helping us to build a movement of North East dog owners working together to help older people in our community. We want everyone who misses the friendship of a dog to quickly benefit from a visiting dog team. As we grow older our ability to care for a dog diminishes and if you have always loved the company of a dog, it is important to your continued mental and physical wellbeing to still have access to one. We are a region of dog lovers - the highest number of dog owning households in the UK and we also have over 50,000 pensioners who would describe themselves as lonely all or most of the time. With your help Wag and Company will make a big difference to this problem. Registration at Leaplish between 10.15 and 11.15. Walks expected to be completed by 14.30 latest. 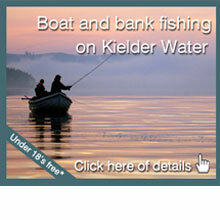 Dates & times for The Kielder Dog Walk, "Walk for Wag"